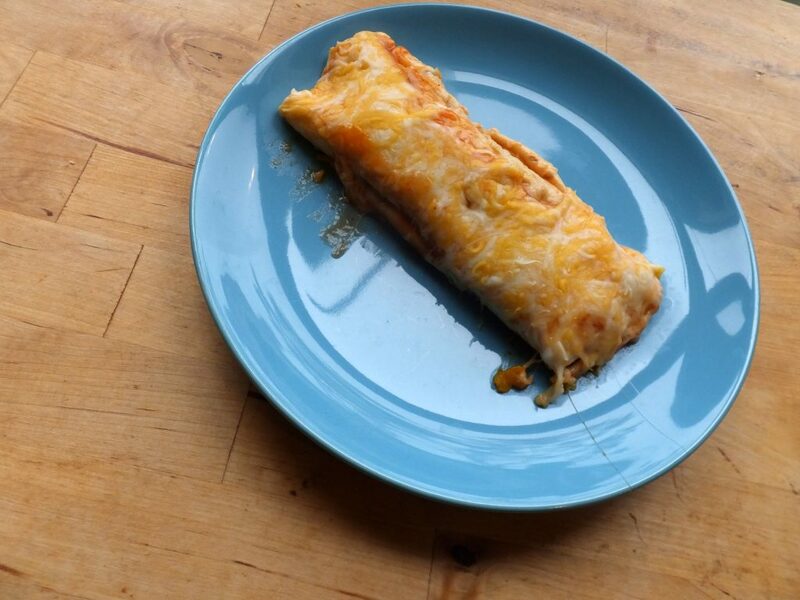 Enchiladas make me question why burritos exist. Burritos are just too-big enchiladas lacking sauce and cheese, and yet we flock to Chipotle like it’s giving away free guacamole. Burritos do offer greater mobility, but how often have you seen someone eating a burrito while rushing to their next appointment? I can only imagine that would result in a stained shirt and a troubled digestive-system. The truth is that enchiladas are delicious enough to warrant picking up a fork and knife. 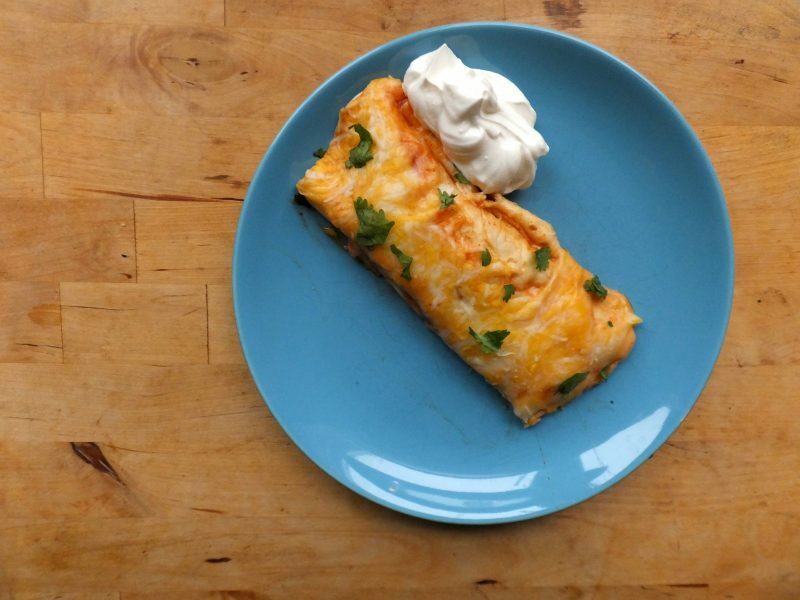 When making vegetarian enchiladas there are a ton of possible options for the filling: fake meat, sweet potatoes, or as many restaurants offer, just cheese. 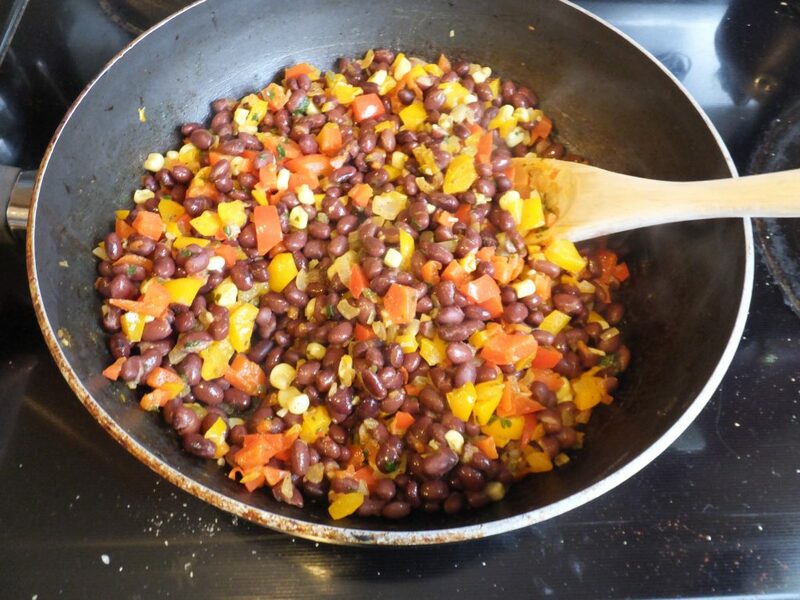 This time I went with beans, pepper, and corn, which is basic but dependable. 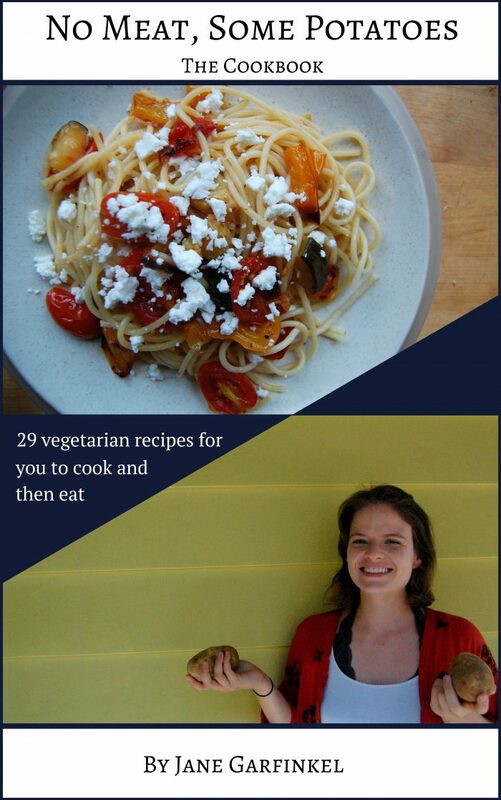 I also use canned enchilada sauce because it’s never done me wrong and I’m lazy. Honestly I have no idea what enchilada sauce is made out of, which perhaps means I should try to make it from scratch next time #betteryourself. For now I stuck with ol’ Old El Paso. Preheat your oven to 350 and start working on the enchilada innards. Look at this pathetic onion! It has age spots. It was the best option at my local grocery store, and I guess I am to blame since I went shopping on a Sunday. 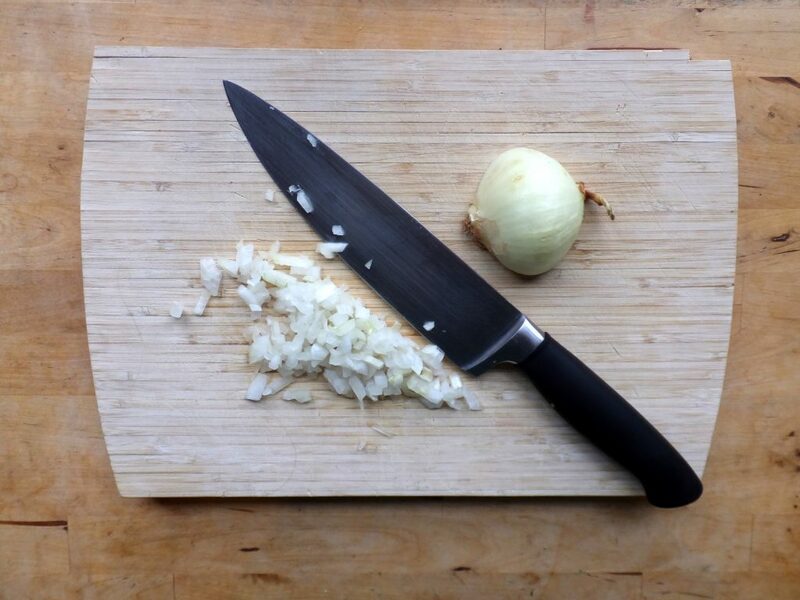 I’m not ageist so I chopped its wrinkled onion flesh up. 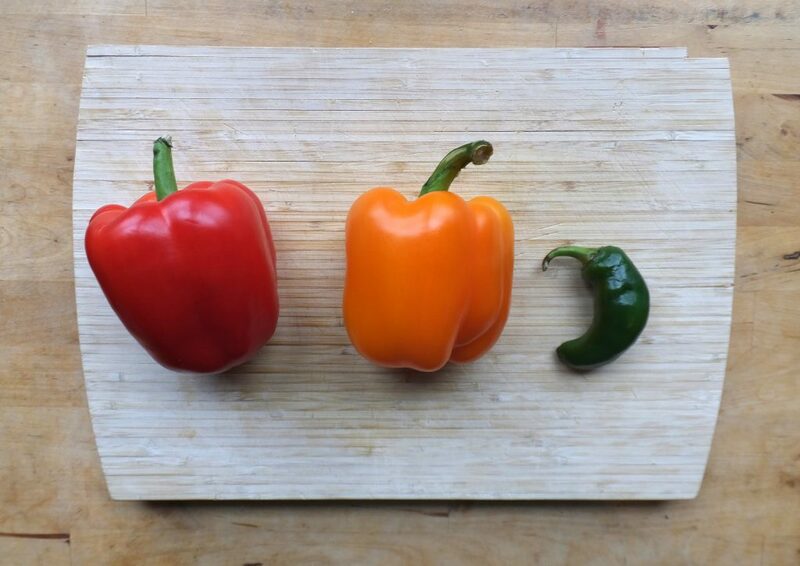 I decided to pay extra for a red pepper and an orange pepper because I wanted my enchiladas to be colorful. 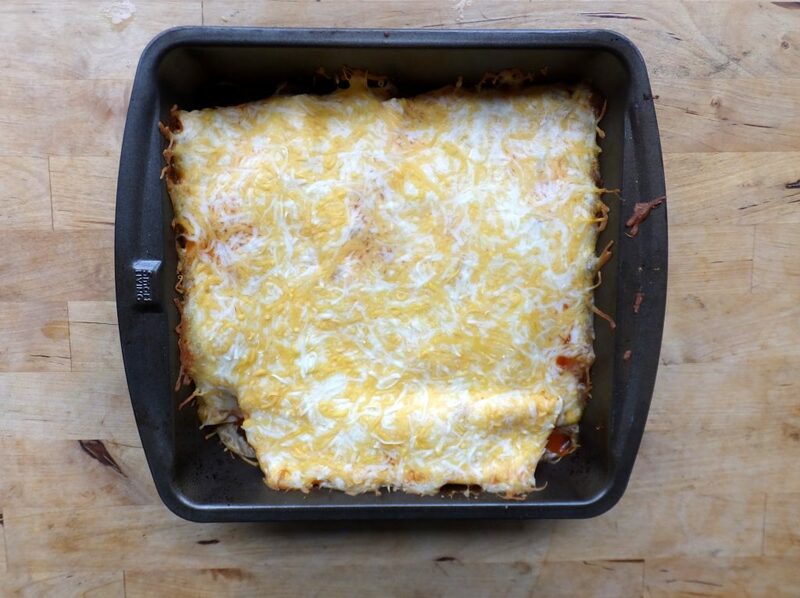 The thing about enchiladas is that everything is wrapped in tortillas and then covered in cheese. That’s okay, I’ll feel good spending that extra $2.00 just knowing their insides are beautiful. I also decided to amp up the spice level with a jalapeno. Ew why??? Local grocery store, you are that neighbor character in a sitcom who is really annoying but I can’t get away from because you live around the corner. I want my snowblower back! 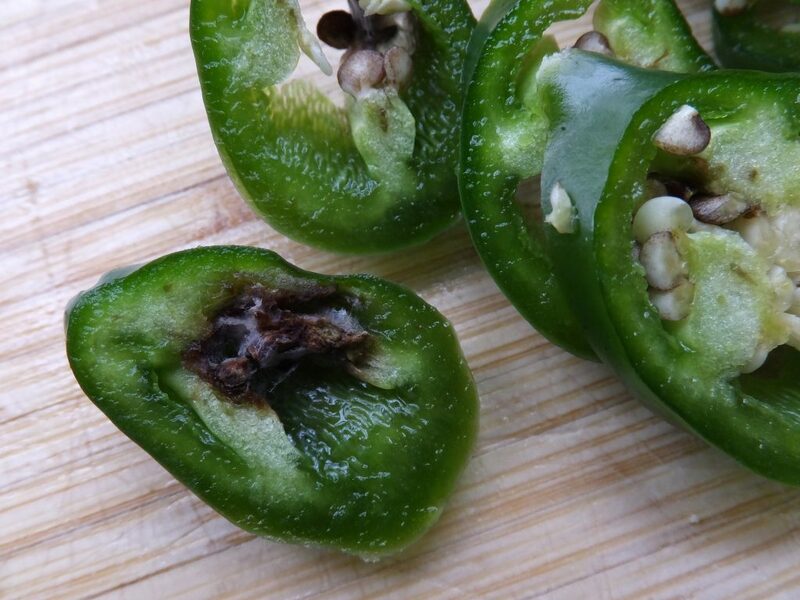 I cut out the gross bits from the jalapeno, but there wasn’t much heat left. Frustrated but still craving enchiladas, I sauteed the remaining jalapeno, onion, both peppers, a tablespoon of garlic, and some cilantro over medium heat. 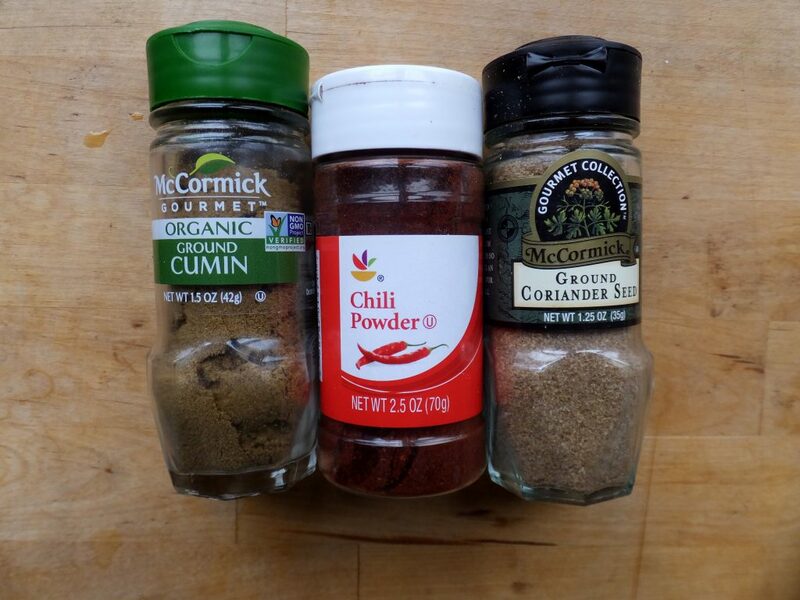 Add cumin, coriander, and enough chili powder to make up for the spoiled jalapeno. 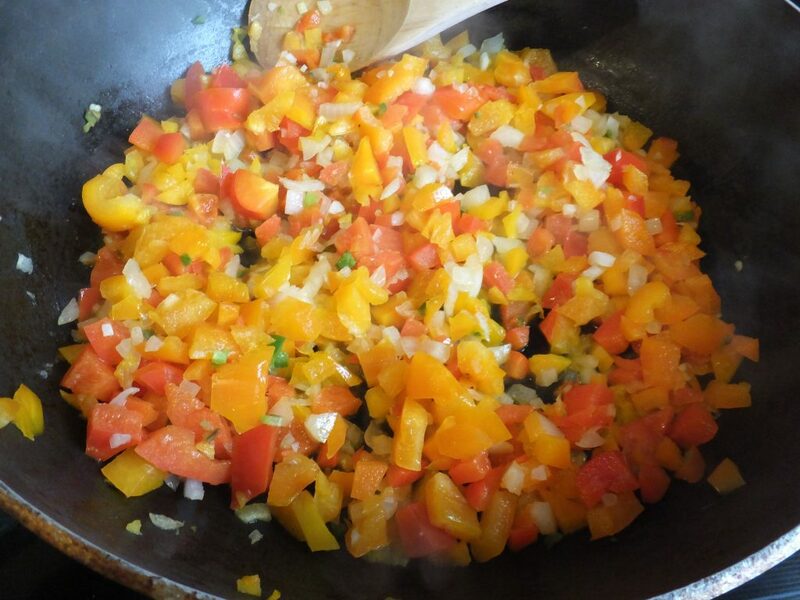 Once the onion pepper mixture has softened, add the beans and the corn. I have a tendency to be very heavy handed with corn, but I restrained myself this time. Pour in half a cup of enchilada sauce and add a bunch of cheese. Set up an enchilada making station. 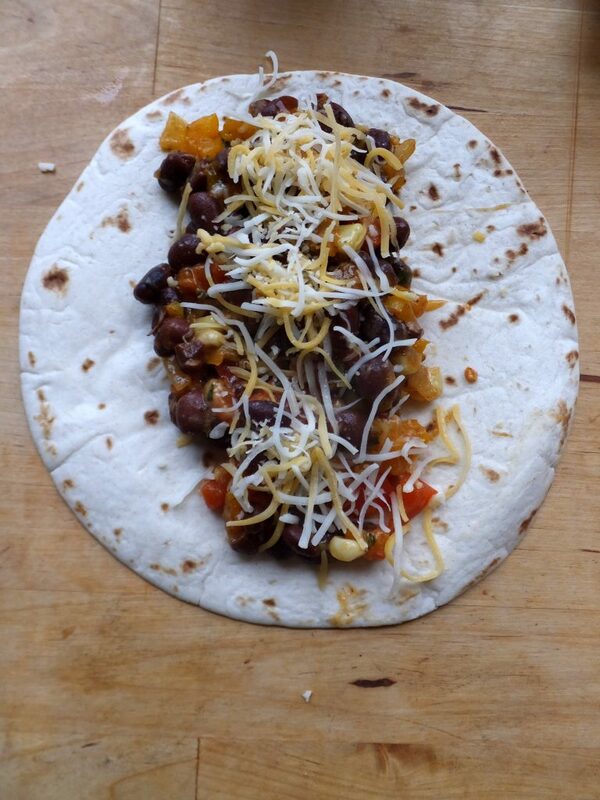 Each little tortilla should get some of the bean mixture, a spoonful of sauce, and a topping of cheese. 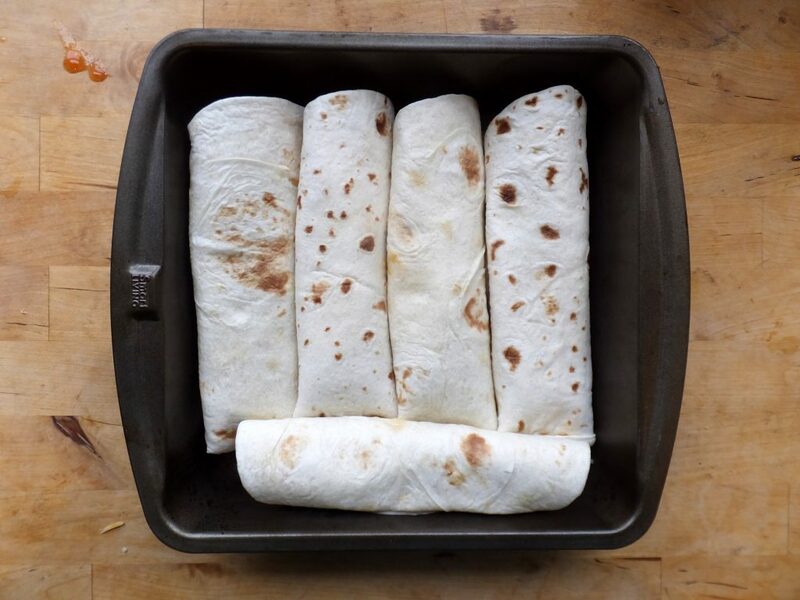 Roll up the enchiladas and place them in a pan. Pour a ton of enchilada sauce over the top. 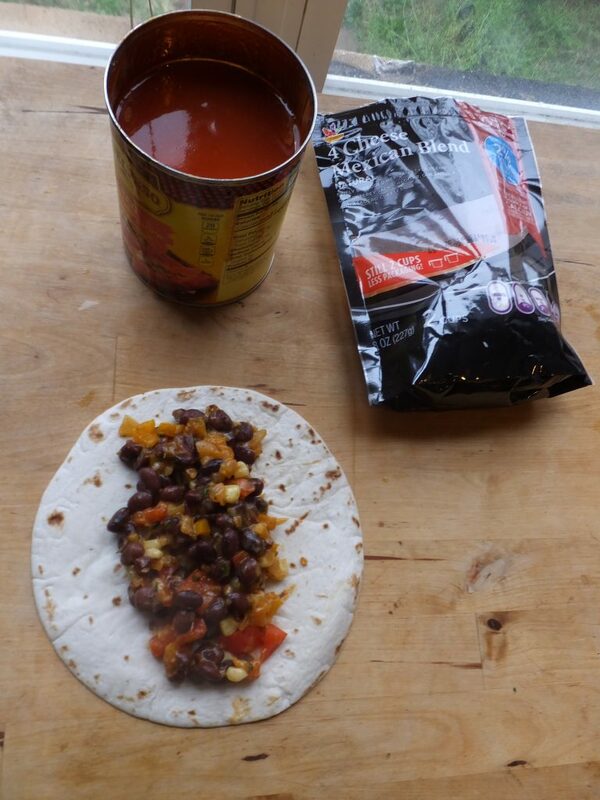 Don’t hold back, the sauce should cover the tortillas and also go into every crevice. 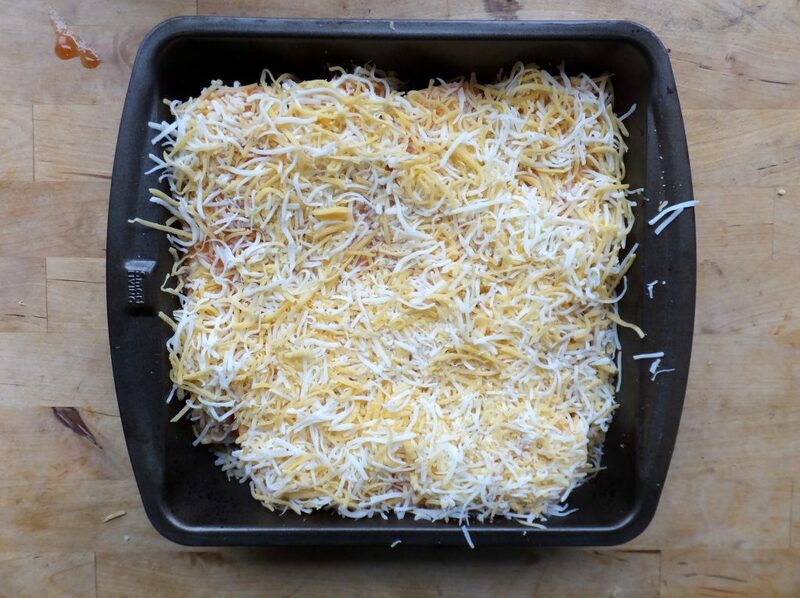 Cover your creation with cheese.Roll up the enchiladas and place them in a pan. These need to bake for about 20 minutes, but you’ll know it’s time when all the cheese is melted and the sauce around the edge is bubbling. 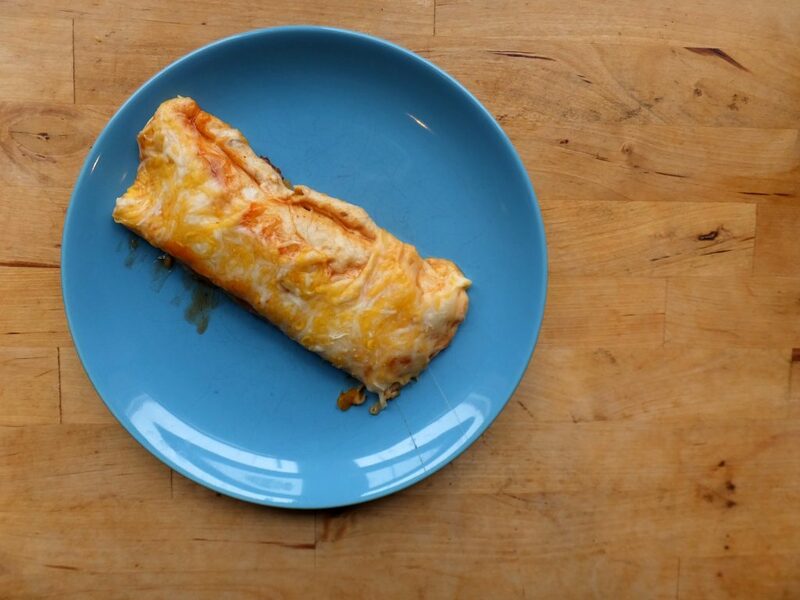 You can try as hard as you want to get a perfect, single enchilada out of there, but it probably won’t happen. Looks aren’t everything. Also you want more than one right? Now all you need is some sour cream.